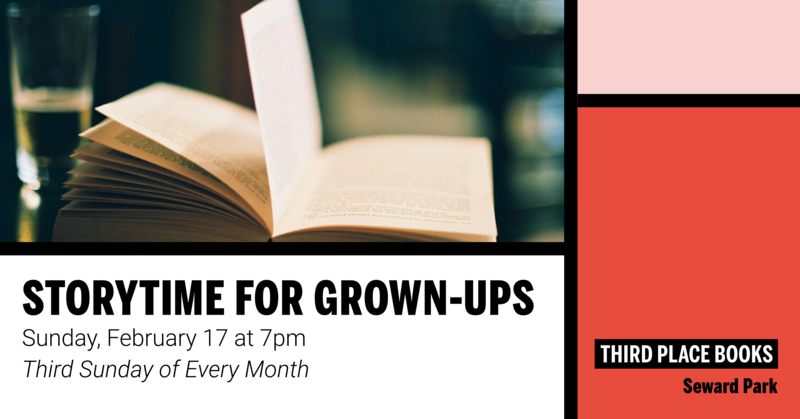 Grab a glass and join us for stories read by community member Courtney on Sunday, February 17 at 7pm! Drink specials are available from Raconteur during the event. Story Time for Grown Ups happens every third Sunday here at Third Place Books Seward Park.